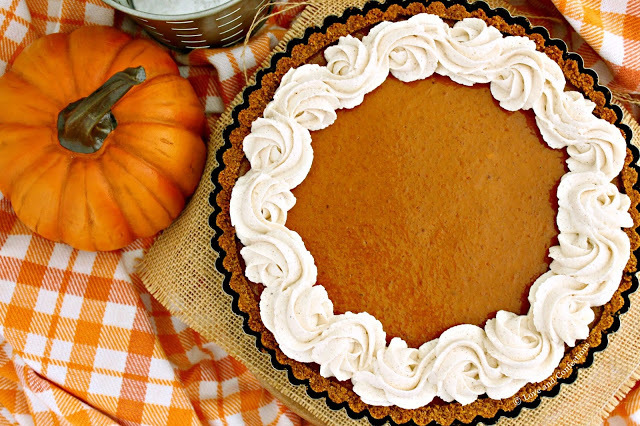 Savor the flavors of Fall with a make-ahead pumpkin tart. 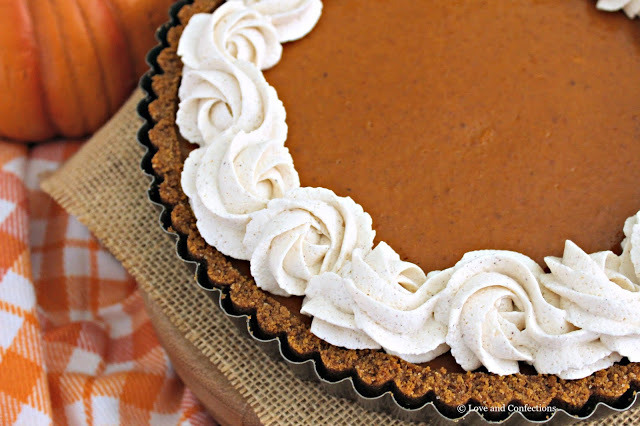 A pumpkin spiced graham cracker crust is filled with a delicious and creamy pumpkin custard and piped with pumpkin spiced whipped cream. 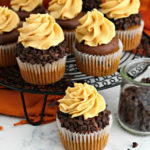 Today’s recipe is all about pumpkin spice! 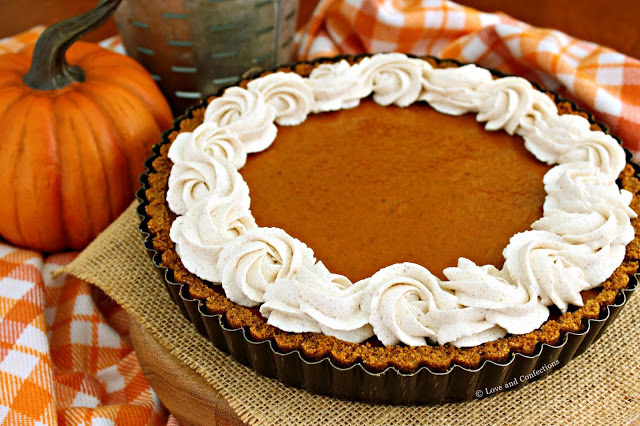 As the saying goes, “pumpkin spice everything!” I am so excited to share this Pumpkin Tart with Pumpkin Spiced Whipped Cream recipe with you on day 2 of #PumpkinWeek! This is my 5th time hosting #PumpkinWeek and I am so happy to be co-hosting with the lovely Christie from A Kitchen Hoor’s Adventures! Don’t forget to enter the giveaway here! 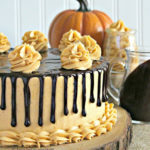 #PumpkinWeek is one of my favorite blog holidays. It unofficially starts the Fall season for me, since we don’t really have much of that Fall feeling in Florida. There are definitely days when the weather starts to cool down and all I can think about is baking with the windows open and drinking hot chocolate. With highs in the 90s, that seems far off, but I’ll bake all the pumpkin goodies and dream of changing leaves and cooler temperatures anyway. Even if it is in the 90s, my family and I still go to a local pumpkin patch and have fun outdoors with Little LnC. She has never seen changing leaves, and I can’t wait to show her all the beautiful colors of the season someday soon. Last year was actually my first time apple picking in an orchard and I am now addicted. Pumpkin patches, corn mazes, hay rides, apple picking and hot cider donuts are what my Autumn dreams are made of! 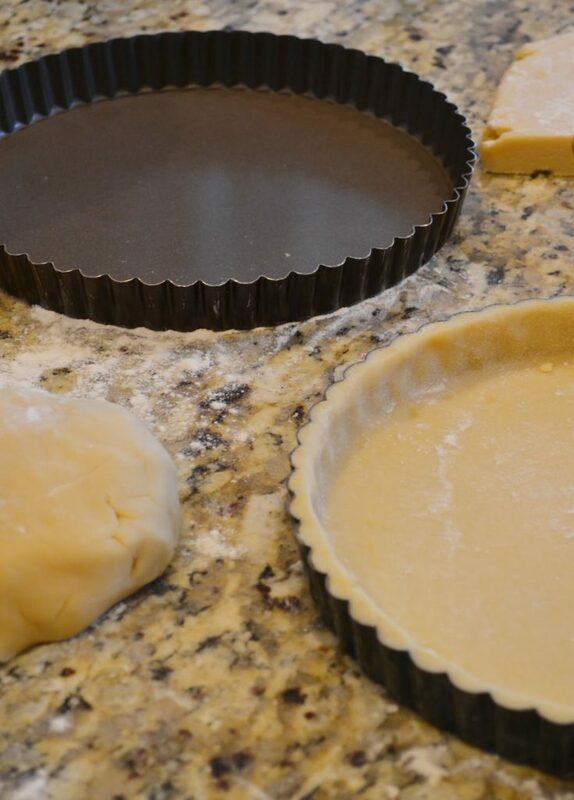 Graham cracker crusts are by far the easier tart shell, especially if you start out with pre-ground graham crumbs. I added a good amount of pumpkin spice to the shell because I really wanted that flavor throughout. 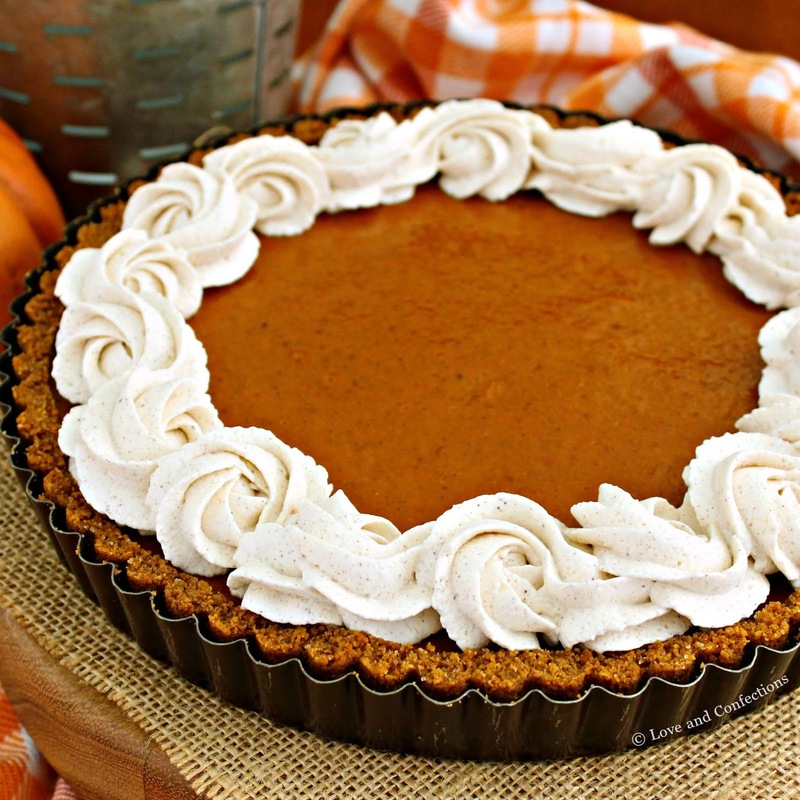 The pumpkin custard is very similar a pumpkin pie filling. 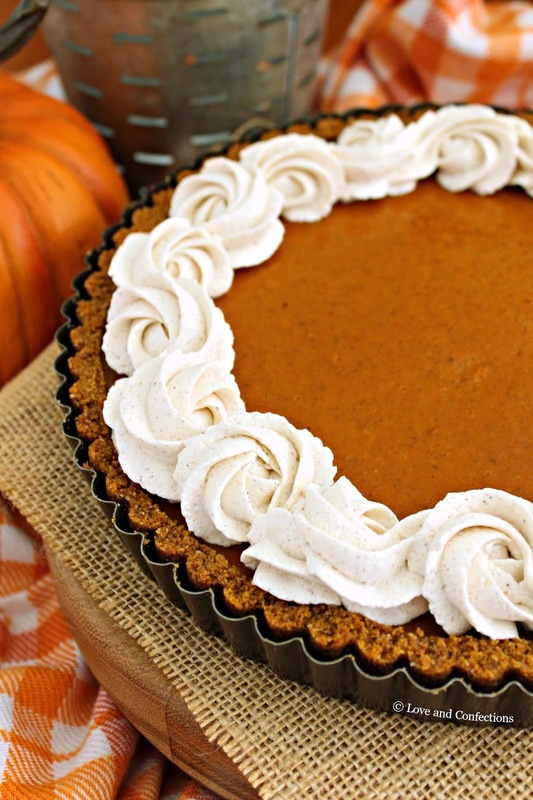 Pumpkin spiced whipped cream should be bottled and sold! 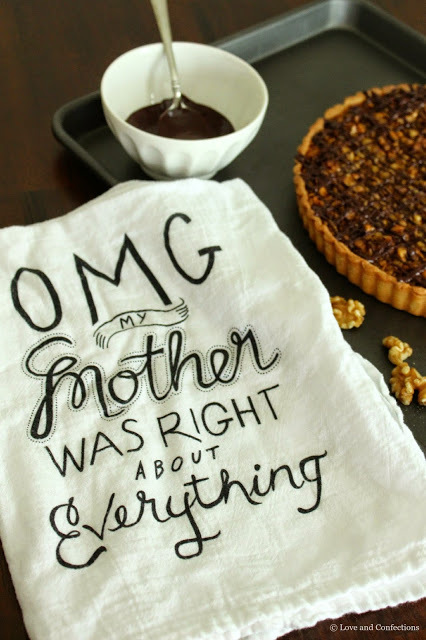 I would put that on everything, including my morning coffee, hot chocolate, and every single dessert. 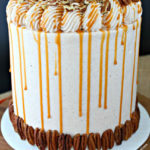 Instead of a dollop on each slice, I piped the whipped cream with a Wilton 1M star tip around the edge of the crust. It turned out beautifully and really jazzed up the tart. I hope you enjoy lots of pumpkin spiced everything this season! 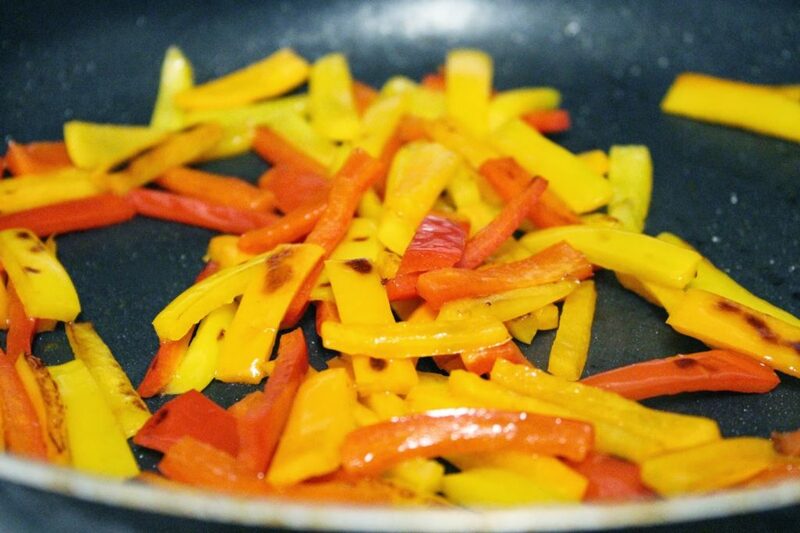 In a medium bowl, combine the crust ingredients in a bowl using a rubber spatula. Pour into tart pan and press down and up the sides. Use a flat metal measuring cup to press firmly and create sharp edges. Bake for 7-8 minutes. 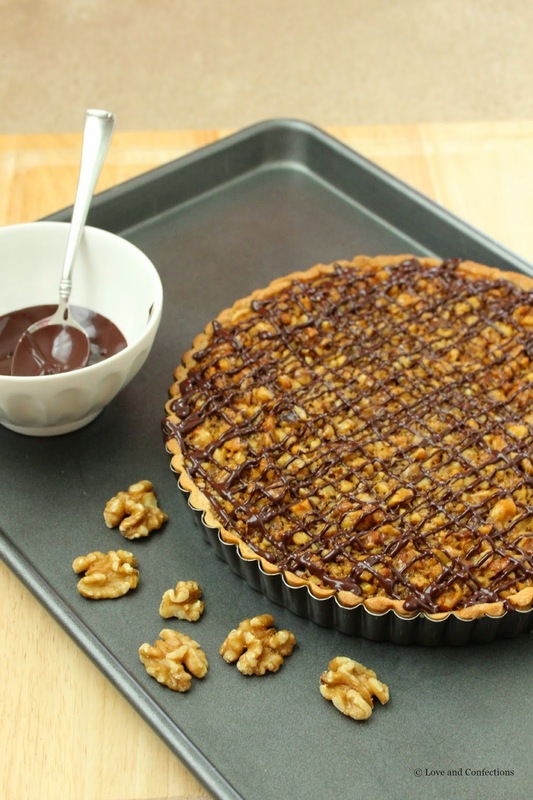 Make filling while crust bakes. In the bowl of your stand mixer with the paddle attachment, or in a medium mixing bowl with hand mixer, mix all the ingredients for the custard filling until combined. Pour into crust and bake for 35-45 minutes, or until set and the center jiggles only slightly. Cool completely then refrigerate. Pipe Pumpkin Spiced Whipped Cream onto tart and serve. If not serving immediately, refrigerate with whipped cream up to 4 hours. 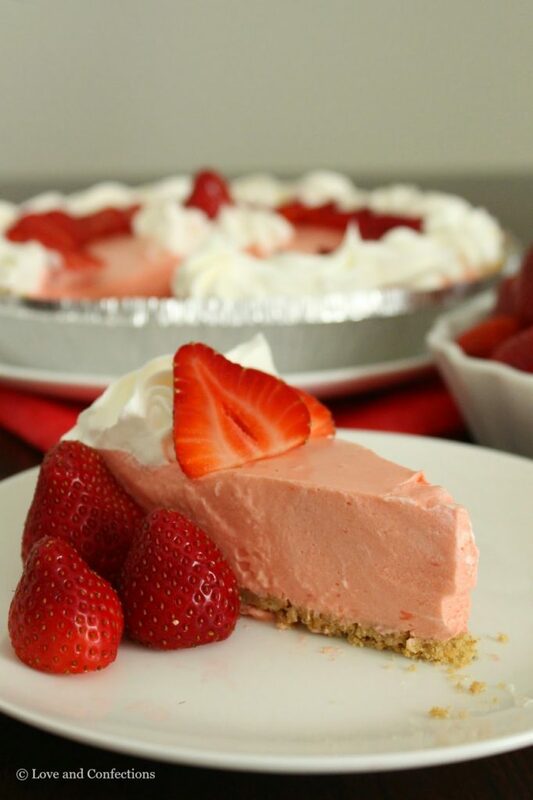 If making tart a day ahead, wait until day of to pipe whipped cream. 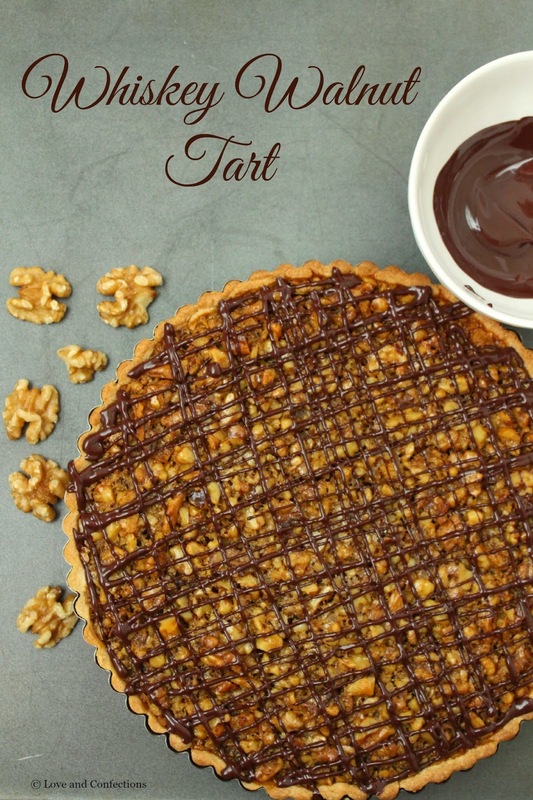 Tart may sweat in refrigerator if covered and not completely cool. Chill metal mixing bowl and whisk before whipping. 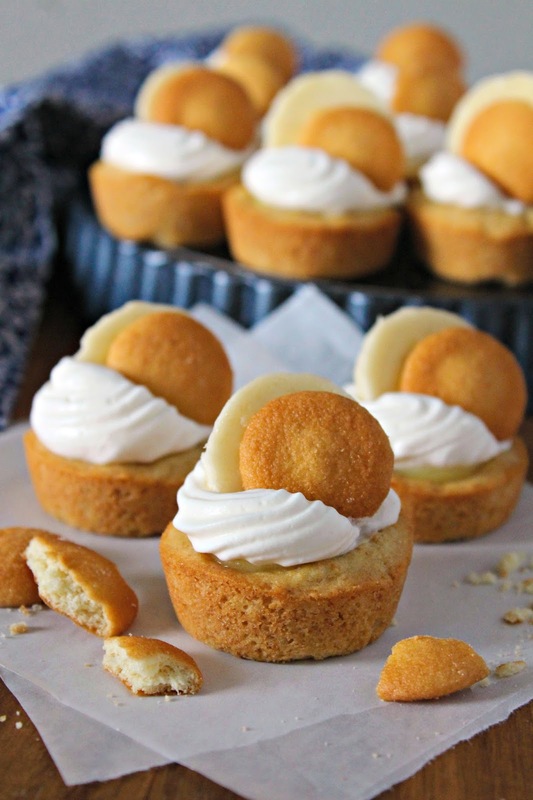 Pie is up there on my list of favorite desserts, right behind chocolate eclairs, and these Banana Cream Pie Cookie Cups are amazing! 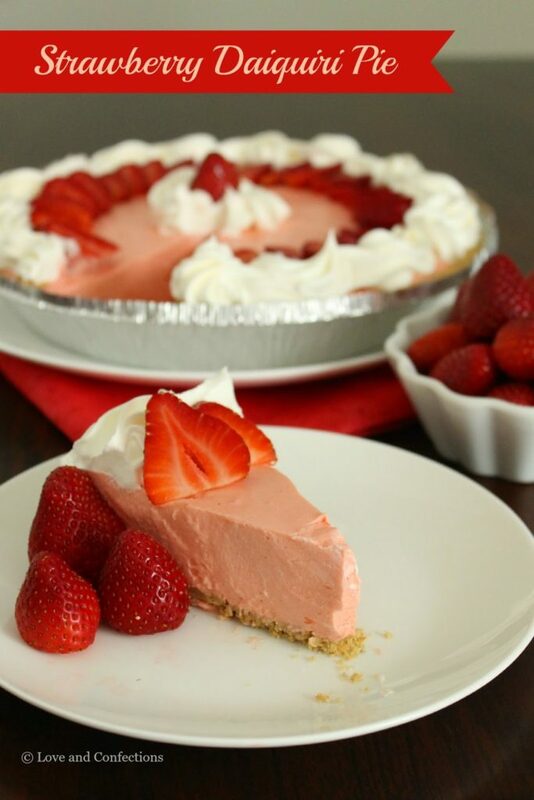 Cream pies or pudding pies are my top pick because I love the crumbly and sweet graham cracker crust, contrasting with the cool and creamy pudding or mousse filling. Fresh whipped cream is essential, and shaved chocolate or other garnishes are always fun. I grew up loving cream pies, but didn’t really make them much. I definitely need to make more, because who doesn’t need more cream pies in their life? 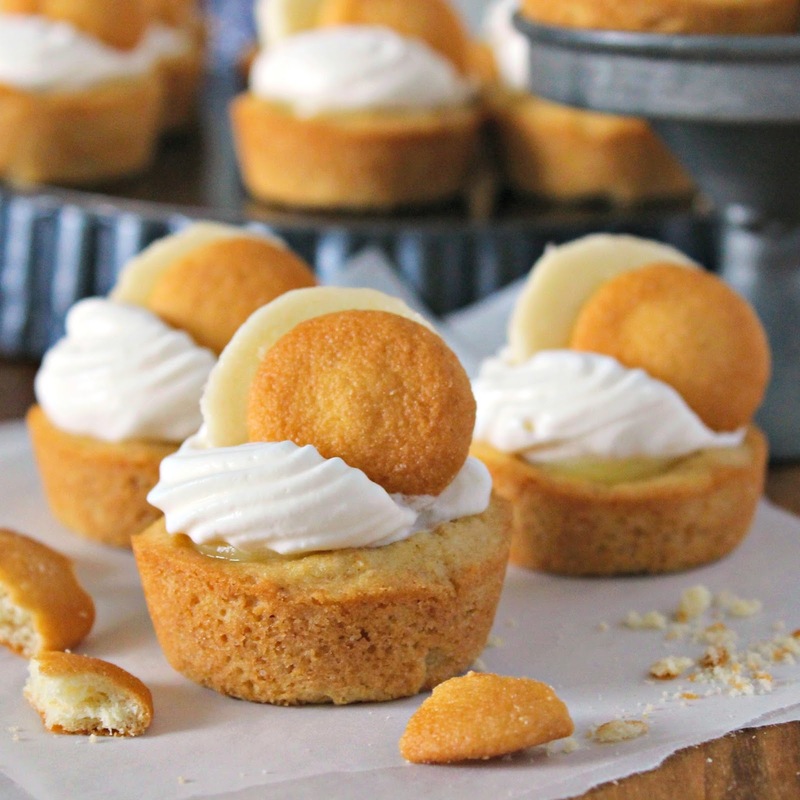 These cookie cups are so easy to make you’ll want them for not only every holiday, but special occasions as well. The graham cracker crumbs really make it taste like a graham crust and not just a regular sugar cookie. Homemade pudding is great, but I opted for a semi-homemade route with banana pudding. Creme Chantilly, banana slices and Nilla Wafers are the perfect topping, reminiscent of the traditional banana pudding casserole dish we all love. They remind me of potlucks or Summer parties. There was always one banana cream dish and it got devoured with no leftovers. 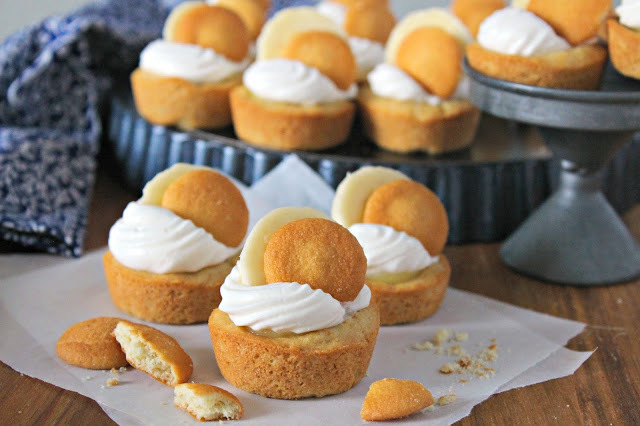 These mini desserts are the perfect bite. 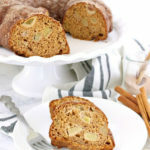 I already have ideas for a few other flavors that I know you will love – perfect for Fall, Winter, Spring, and Summer! 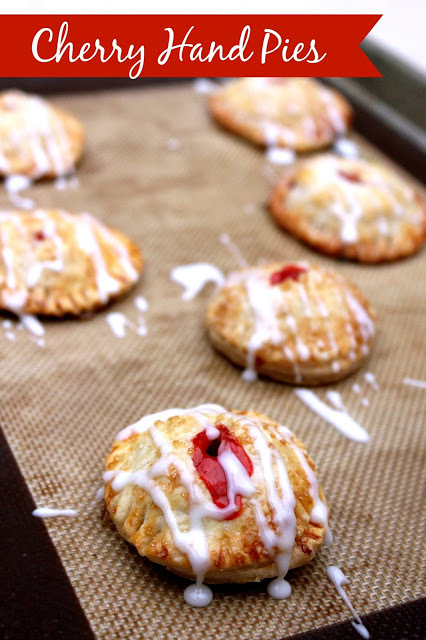 Cherry Hand Pies are just about the easiest dessert that takes little effort and looks gorgeous. There’s something special about mini pies and these cuties are perfect for Pi Day! Happy Pi Day! Today I am celebrating my love of Pi with pie. Pi – that wonderful non-repeating, non-terminating number from math class many years ago. When I was in high school, I had an algebra teacher who knew 45 decimals of Pi by heart. I bet that I could memorize more, and helped organize our high school’s Pi Day celebration. It took a little while, but every day leading up to Pi Day, I memorized 3 additional digits of Pi, until I beat and smashed his record. We had fun pieing teachers in the face to raise money for charity, and during our morning announcements, I rambled all the digits of Pi I had learned. To this day, I still can recite all 56 decimals of Pi that I memorized. So, onto the delicious part of Pi Day – the pie. While I like making homemade crust and homemade filling, I kind of took a shortcut. Things have been quite busy around here, with a rambunctious 3 year old. 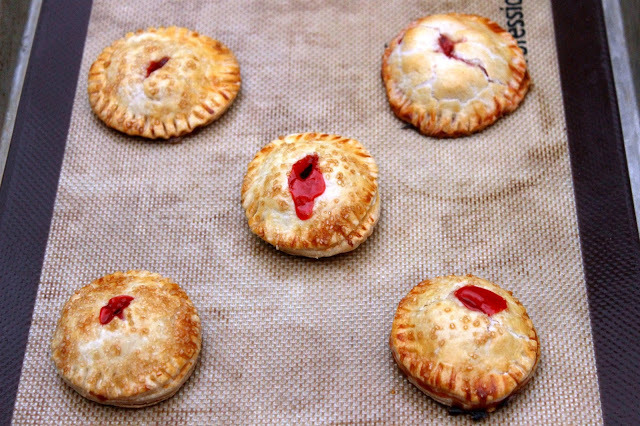 Sometimes I have to take shortcuts to get things done, and truth be told, I ran out of time making these hand pies, but they still turned out cute and delicious! I hope you enjoy Pi Day with a slice of your favorite pie! Heat oven to 425F. Prepare sheet tray with silicone baking mat or parchment paper. 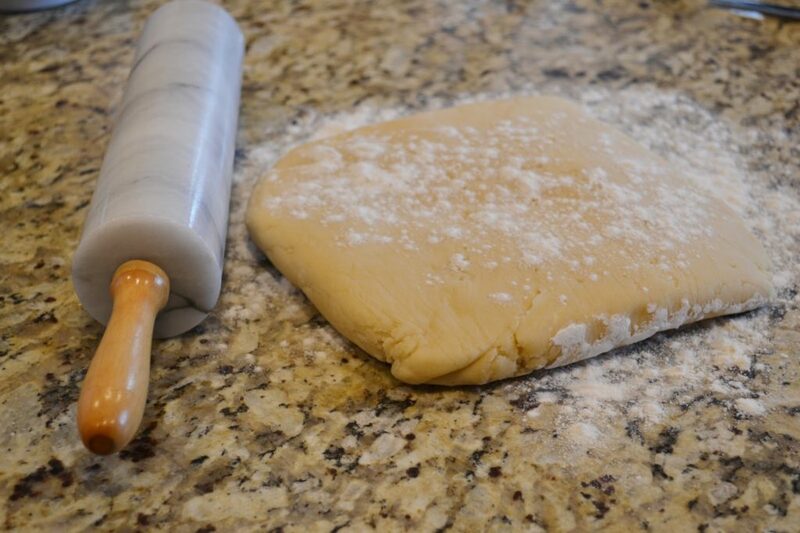 Roll pie dough slightly thinner, on a lightly floured surface. Using a biscuit or circle cutter, cut rounds and place on baking sheet. If needed, re-roll and cut more. Bake for 14-18 minutes, or until golden brown. Let cool on wire rack. Create glaze with powdered sugar and milk or lemon juice. 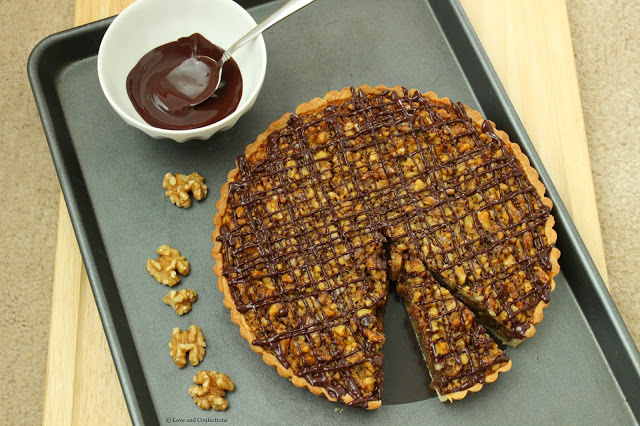 Drizzle onto pies and enjoy! 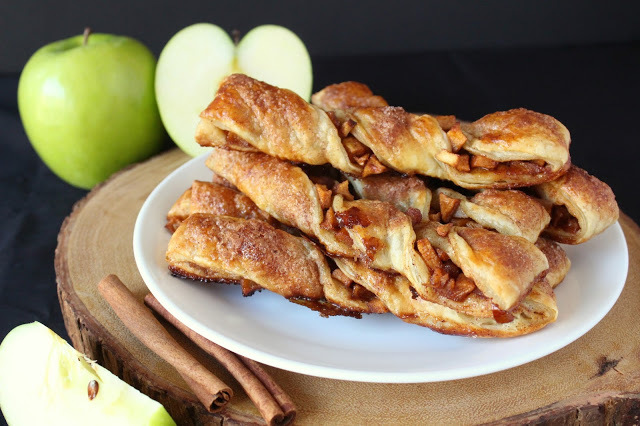 I love the flavors of apple pie, but don’t always like making or eating the crust. I am kind of a crust snob. Sometimes crusts just don’t taste good. I often like to reinvent traditional pie recipes and put a twist on the classics. 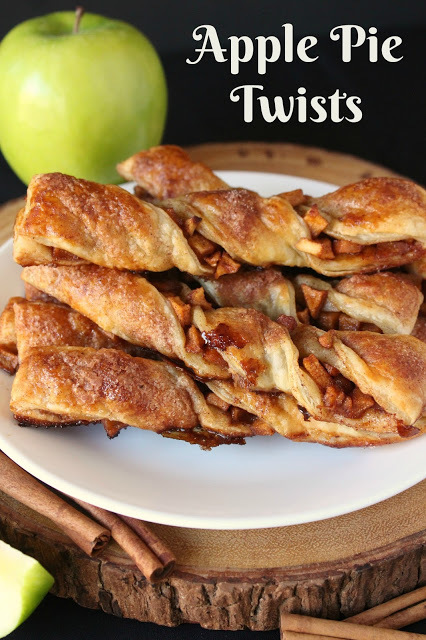 These Apple Pie Twists are a perfect example. The apples are cooked to perfection, then spread on puff pastry, twisted, and baked to perfection. They are flaky, tart, sweet, and absolutely perfect when I am in the mood for apple pie without the crust. Holiday baking is my favorite time of year, and Dixie Crystals is hosting their Holiday Baking Bonanza. Make some memories, and sweets, with your family in the kitchen, and enter for your chance to win one of 10 Williams-Sonoma Bakeware Sets. 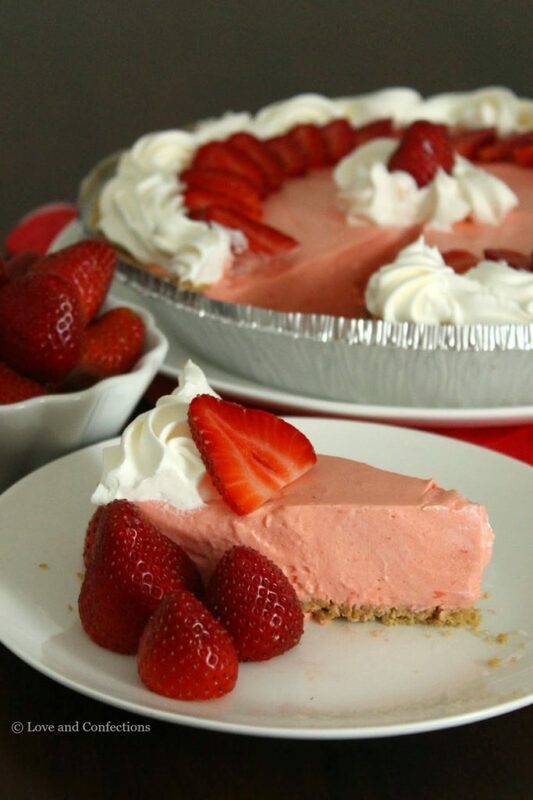 Strawberry Daiquiri Pie is a family favorite – easy to make and full of flavor! Welcome to Pi(e) Day! Pi Day is celebrated every March 14 by math fans around the world – and also bakers and pastry chefs. Pi is an non-repeating, infinite number represented by the Greek letter π, and used to represent the ratio of the circumference of a circle to its diameter. Today, March 14, 2015, is an extra special Pi Day, because at 9:26:53 AM it creates the “Pi Moment of the Century”. The first ten digits of Pi are 3.141592653 (3/14/15, 9:26 AM and 53 seconds). This exact date and time happens once every hundred years – a once in a lifetime moment for most of us. How cool is that? 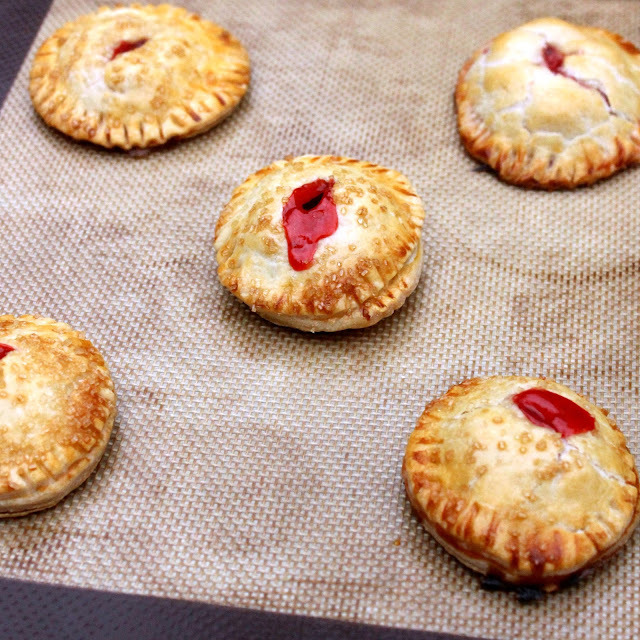 Today, 20 Food Bloggers have gathered and want to celebrate the fun of Pi by creating their own sweet and savory pies to share with you. 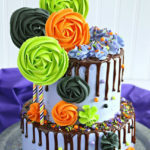 Hope you have a delicious day! [Nerd Alert] I have a huge love of Pi. Don’t ask me why, it might be my competitive nature. When I was in high school, one of our teachers knew 45 decimals of Pi. I decided to try and learn more to beat his number. To help me learn, I created a Pi Necklace, where every color bead represented a digit 0 through 9. (example, red=0, white=1…) I learned new digits of Pi in sets of three and every time I learned new numbers, I added to my necklace. I made my necklace over the course of a few weeks. We decided to host Pi Day at school and have a bake sale of nothing but pies. I don’t know how we managed it, but we thought it would be fun to pie teachers in the face and were surprised a few of them said yes. It was quite entertaining being able to smash a whipped cream pie into your teacher’s face. I had finished memorizing Pi and did, in fact, beat the number of my teacher. I know 56 decimals of Pi by memory and can recite them still to this day. For Pi Day, I decided to make one of my all-time favorite pie recipes, one that my Grandmother used to make for me (minus the alcohol). 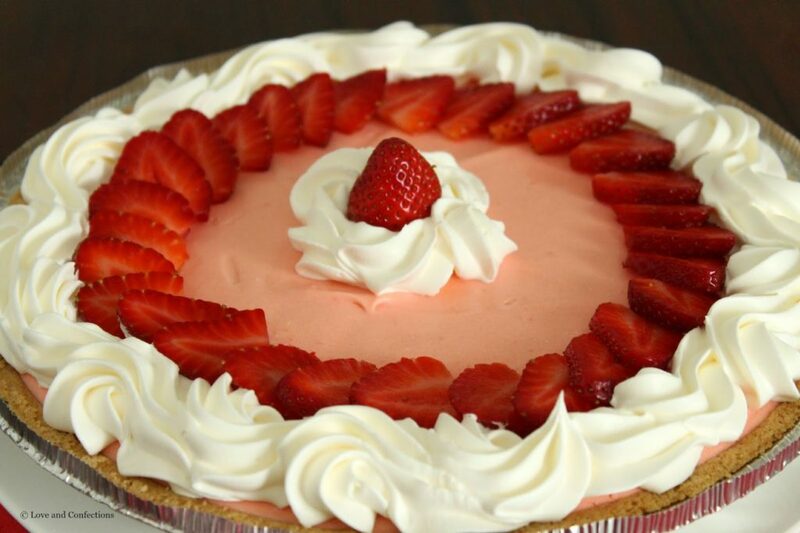 I always loved the smell of this pie because the strawberry scent permeates the house. It isn’t from scratch, it uses a pre-made pie shell, but that’s how she did it and that’s how I intend to keep it. Whenever I think about this pie I think about her and wish she were here to have a slice with me. 1. In a medium saucepan, combine the Vanilla Pudding, Strawberry Gelatin, Granulated Sugar, Eggs and 1/2 cup of the Water. Whisk to combine. Over medium heat, whisk in the remaining Water and bring to a full boil. 2. Take off the heat and using a sieve, strain into a clean bowl to insure no overcooked egg gets in your pie. Whisk in the Dark Rum and refrigerate for 1.5 hours. 3. Once chilled, fold in 6 ounces of Whipped Topping. If it is not smooth, you can lightly whisk the mixture. Pour into the prepared Pie Crust and refrigerate until set. 4. 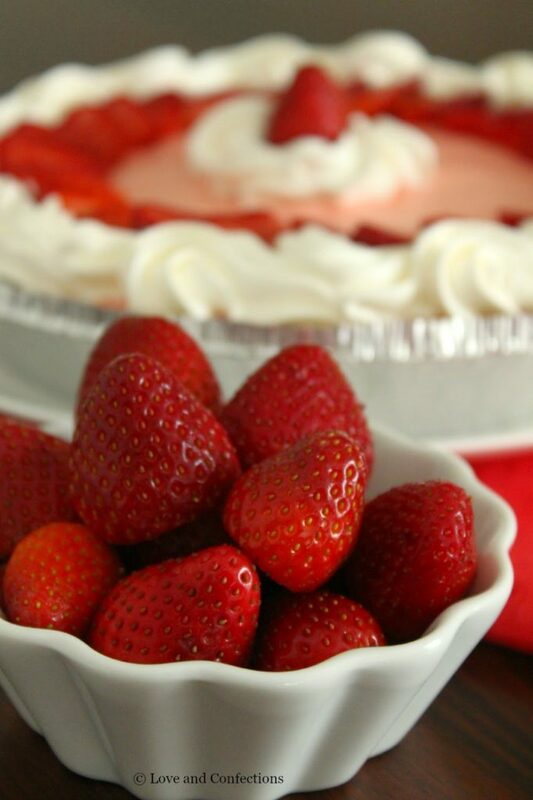 Garnish with remaining Whipped Topping and sliced Strawberries and enjoy! *If you use the Extra-Serving Pie Crust, not all the filling will fit and you will need to place the rest in a small container to refrigerate. 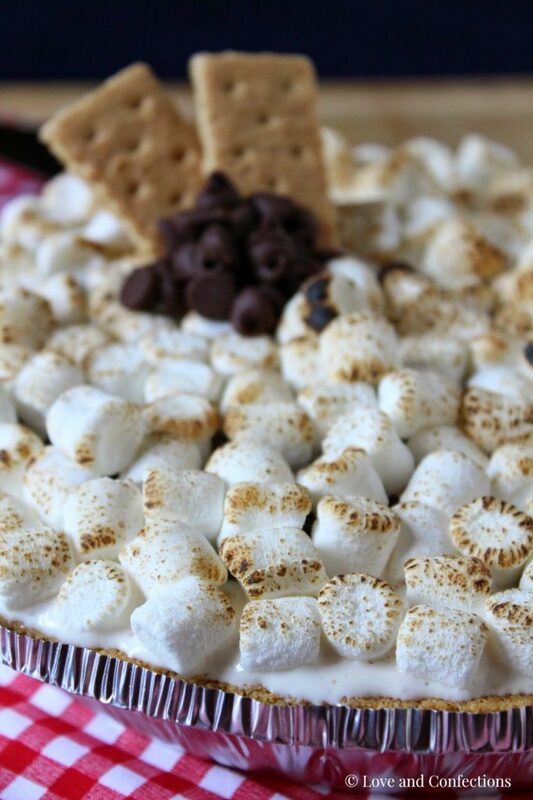 S’mores Ice Cream Pie is all the best of your favorite campfire treat, but in frozen form! I can’t wait to share all the wonderful ice cream treats this week, from pie, to milkshakes, and even homemade ice cream! S’mores are a favorite campfire ritual. With Summer ending (in other parts of the country) I thought it would be fun to put my favorite camping treat into ice cream form. 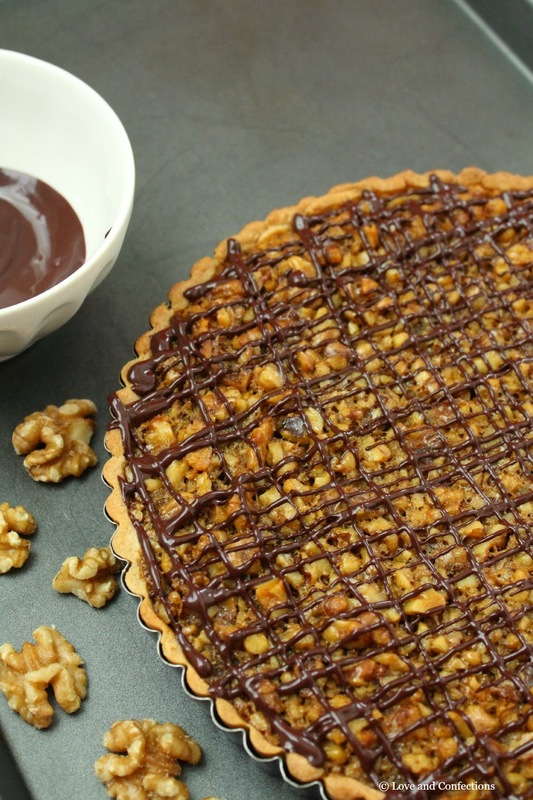 This pie is full of s’more goodness and I hope you enjoy! 1. Let the Vanilla Bean Ice Cream soften a bit and place into a mixing bowl. 2. Crush the Graham Crackers into tiny pieces. Add Graham Crackers, 1/2 cup Chocolate Chips, and 1 cup Mini Marshmallows to Ice Cream and stir to combine. 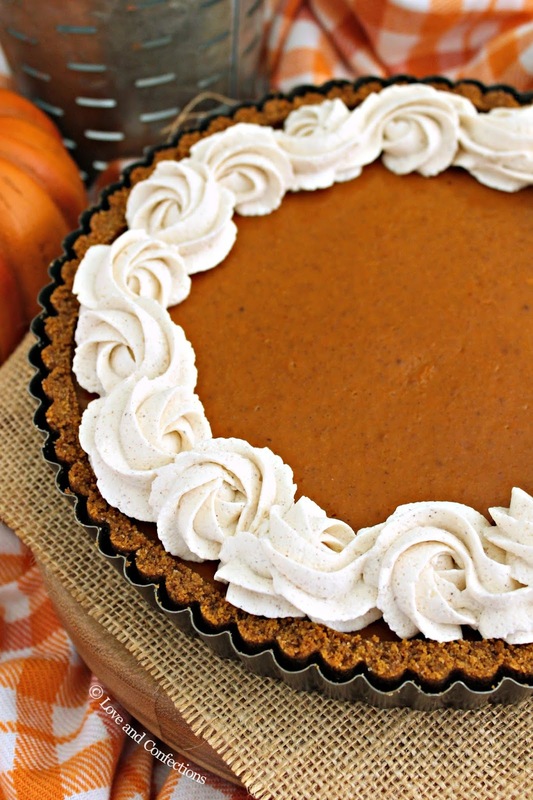 Pour into Graham Cracker Pie Shell and freeze for a minimum of 4 hours. 3. 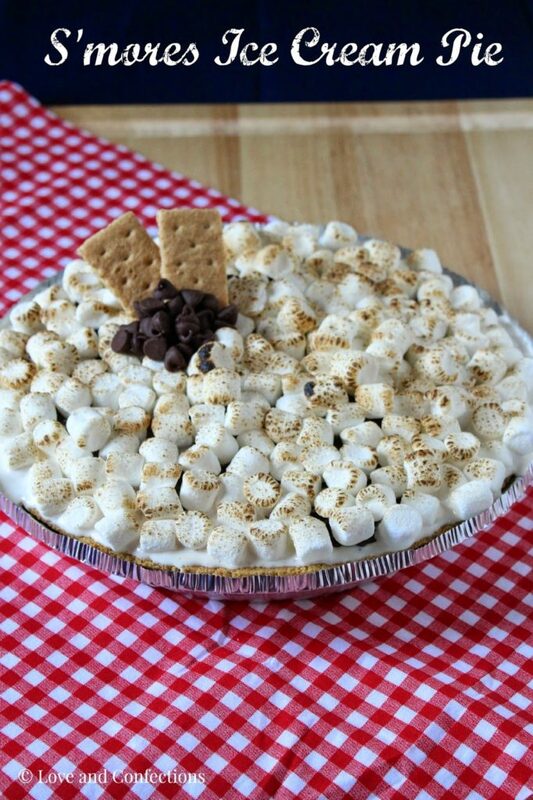 Before serving, pile enough Mini Marshmallows on top of the pie to cover it, then using a kitchen torch**, brown the top of the marshmallows. 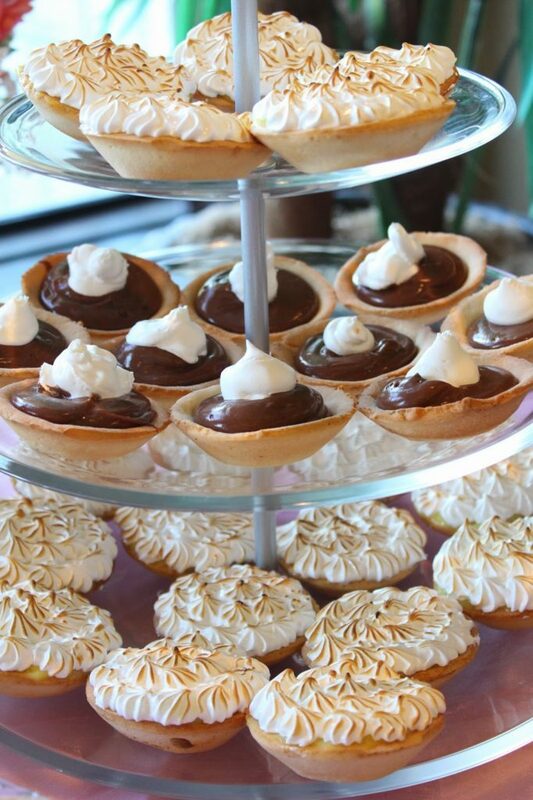 You can drizzle melted chocolate on top to garnish. ** Please be careful when using a kitchen torch. Always be aware of your surroundings and have a fire extinguisher ready and available if necessary. One of the quintessential brunch dishes is quiche. You can do so many variations and create a different quiche for every day of the week. Last year I took my favorite quiche recipe and created an italian-style Tomato and Mozzarella Quiche for BrunchWeek. This year I decided to revisit the quiche and use some wonderful produce. I love using Vidalia Onions because they are naturally sweeter and create an amazing caramelized onion – a perfect match for the mild Italian sausage. I used Italian sausage as opposed to breakfast sausage for the added flavor, but you can substitute breakfast sausage or even ground beef if you prefer. The folks at Baloian Farms sent me some gorgeous Baby Bell Peppers. I knew they would instantly be perfect for my quiche. I also adapted my normal quiche crust and used some of the Bob’s Red Mill Whole Wheat Pastry Flour in place of some All-Purpose. It creates a heartier crust, you just might need to add a bit more water for the dough to come together well. – Heat oven to 350F. 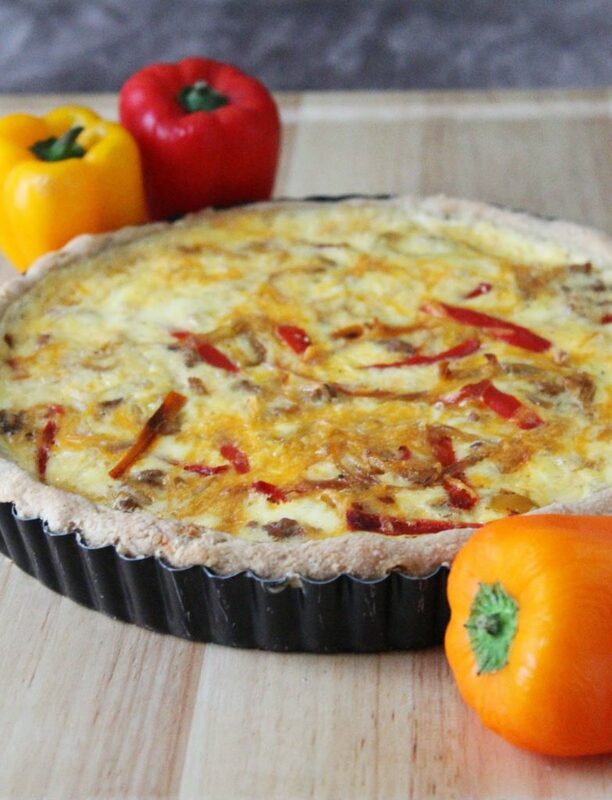 – Sprinkle Cheese onto the bottom of the quiche shell. Layer Sausage, Peppers and Onions in the quiche shell. Place Quiche on a Sheet Tray and fill with Egg Mixture, just until it reaches the top. California Walnuts, Bob’s Red Mill, Oxo, Dixie Crystals, Whole Foods Market Doctor Phillips, Grimmway Farms, Woot Froot, Vidalia Onion, Baloian Farms, Stemilt and Bonne Maman are providing the prizes free of charge. I have received product from Bob’s Red Mill and Baloian Farms to use for #Brunchweek. The Vidalia Onions were purchased by myself for the purpose of this post, but I love and use them for cooking on a regular basis, when in season. All opinions stated are my own. I recently hosted a bridal shower for my sister, KB. It was a garden party theme with peonies and pearls. KB loves anything and everything pink, so that was the color scheme Mom and I went with. We had it at a gold club near my place. They did some fantastic food, but they do not provide dessert. I knew I was going to make the desserts for the party anyway, so that didn’t matter. 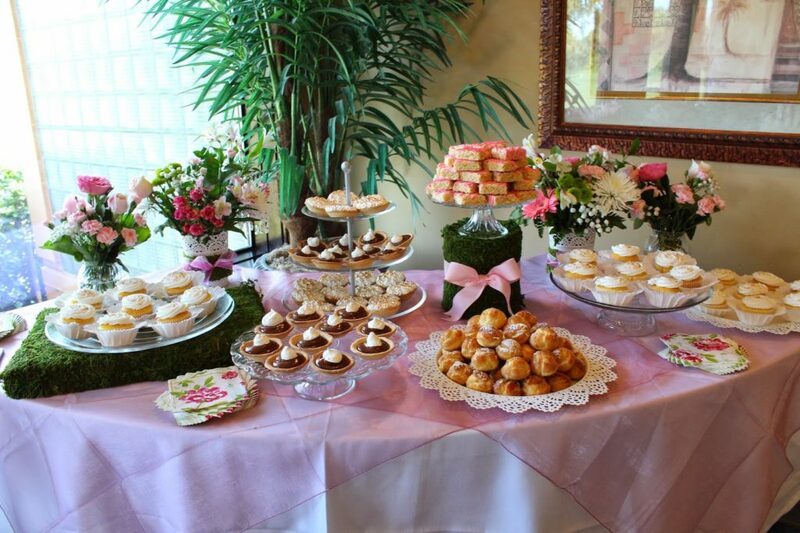 I wanted to do a dessert buffet with a bunch of small desserts that everyone would enjoy. 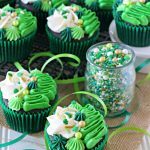 – In the bowl of your stand mixer, make a double boiler, heat the Egg Whites and Granulated Sugar, whisking constantly and until the mixture is warm and the sugar has dissolved. Make sure the water does not touch the bottom of the mixing bowl. – Place a piece of foil around the opening of the mixing bowl to trap the warm air. Egg whites whip better when warm, hence the double boiler. Using the whip attachment, whip on high until you have stiff peaks. 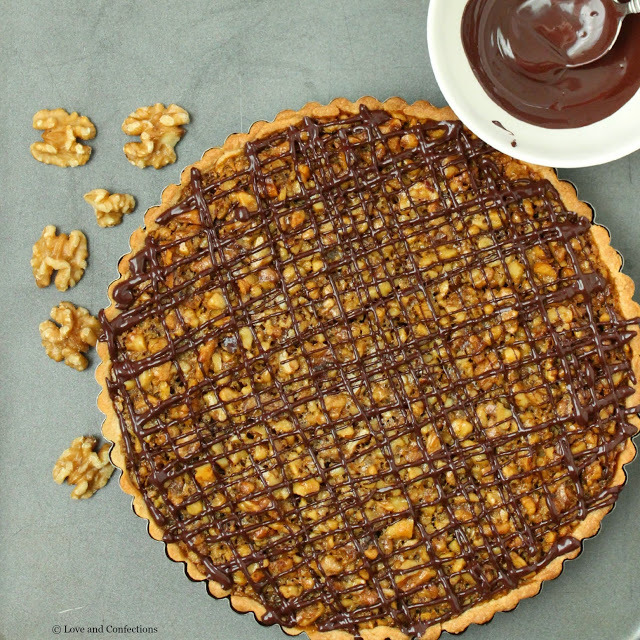 Apple Almond Tart for your Sweetheart! It’s that time of year where everything is red and pink. Hearts, roses boxes full of assorted chocolates and over-sized teddy bears crowd store windows. I don’t really do anything too big for Valentine’s Day. Restaurants are too crowded and most are too pricey. I’d rather stay home, cook a nice dinner, have some wine and relax. Well, this year I will probably be exhausted and need more than just one glass. Valentine’s Day is the busiest day of the year at my job. The bakery is in high gear, prepping for the day. My schedule next week has me starting at or before 8am through “?“. I literally have a question mark on the schedule – the entire week. It’s basically a work until you can’t work anymore, schedule. 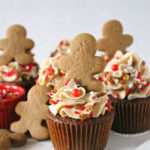 Hopefully you will have time to prepare something nice for the holiday, if you celebrate it. If you don’t, this is still a great tart for any special occasion. 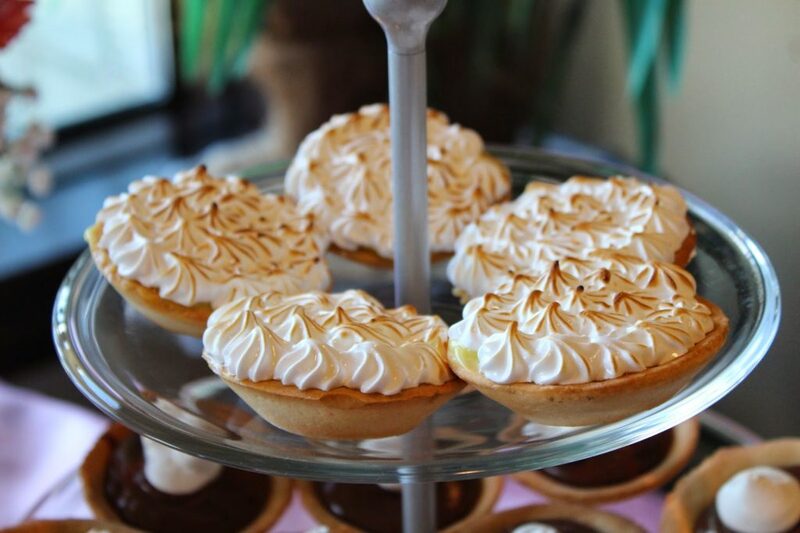 Or just because – just because tarts are great too. If you don’t have a tart pan, you can use a pie pan, but it will not be the same shape and the measurements for everything will be different. 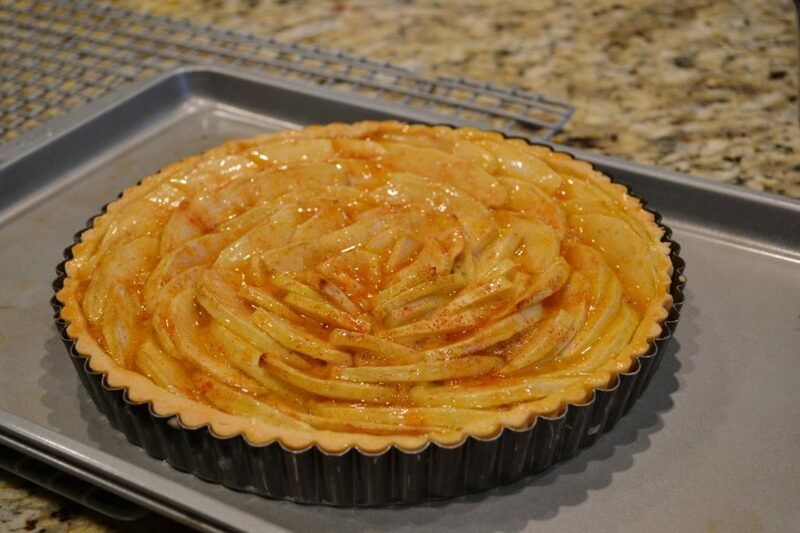 I recommend a tart pan, though, because it looks so pretty with the fluted edge. Otherwise it’s just a pie. Believe me, nothing is wrong with just a pie, but an Apple Almond Tart makes it sound a little more special. 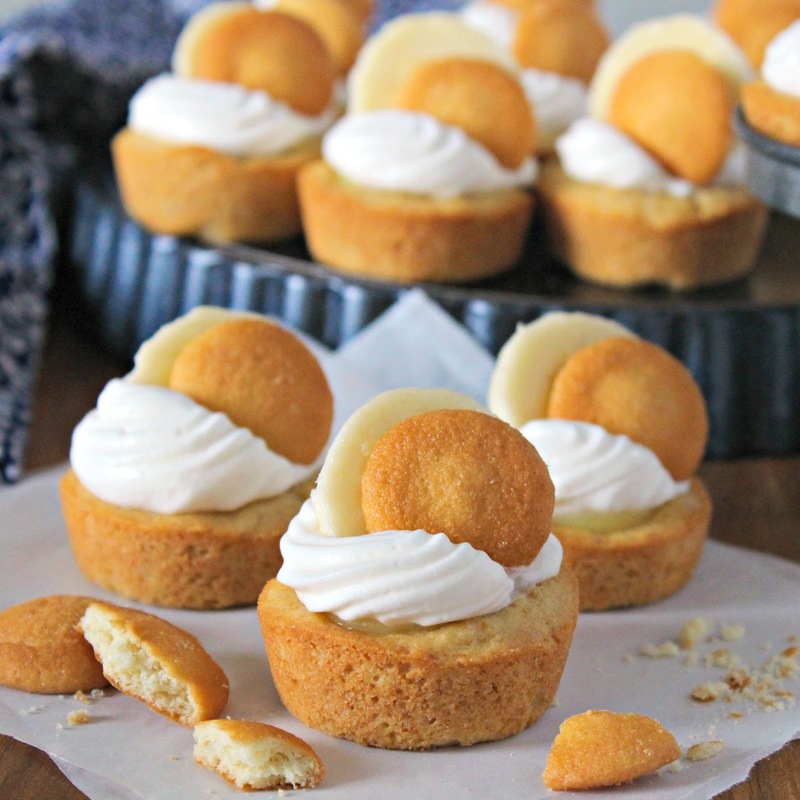 – Combine first 4 ingredients into the bowl of a stand mixer. Using the paddle attachment, on a low speed, mix the ingredients until the Butter becomes pea-sized and the mixture feels somewhat like sand. – Measure 300 grams of the Frangipane into the tart shell. Using an offset spatula, spread and level the Frangipane. Peel and core the Granny Smith Apples. Slice them, either by hand or with a mandolin, thin enough so they are flexible and can be layer in a pattern on the frangipane. – Bake for 40-50 minutes, until you stick a knife under the apples into the frangipane and it comes out clean (like a cake). 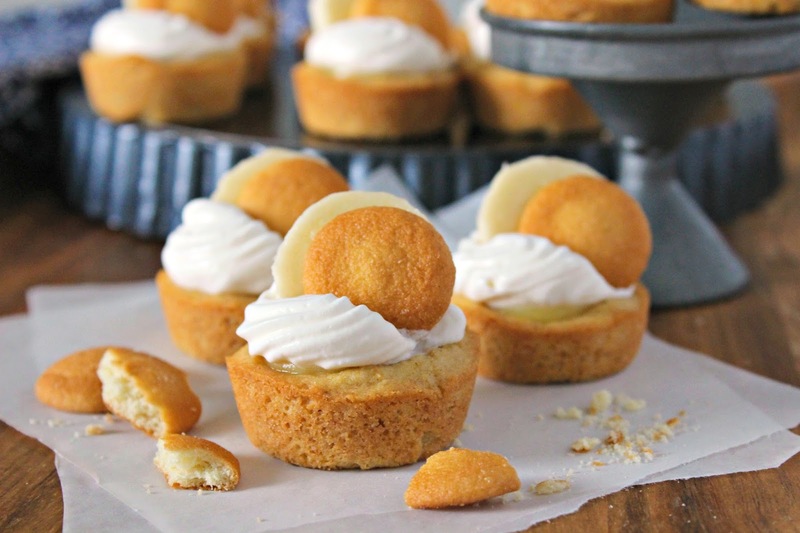 – Remove the tart from the pan and place on a cardboard cake round. 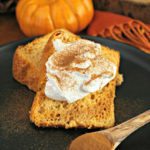 Sprinkle with Cinnamon Sugar if desired. 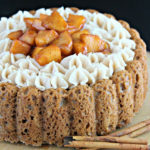 – Using a pastry brush, brush the tops of the apples with the Apricot glaze. This is best done right before serving. Keep refrigerated if not serving immediately. – Another option is to fully prepare the tart and freeze before baking. The baking time will be increased slightly, but all you need to do is pop it in the oven and bake!